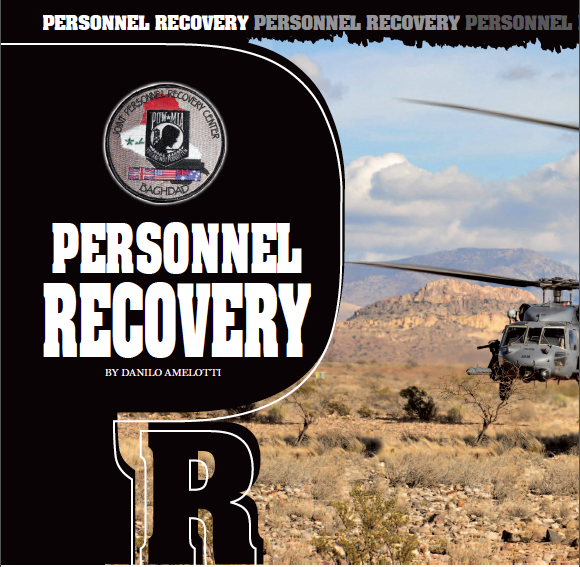 PERSONNEL RECOVERY – "Danilo Amelotti"
In recent years in many specialized magazines, it is often read and acquired information about the SERE Training (Survive, Evade, Resist, Escape), but never, or almost, it was mentioned that the same training is only the third part of the complex world of Personnel Recovery. For the above-mentioned reasons, I decided to provide to our readers a better knowledge of such operation, thus creating a column dedicated to PR. 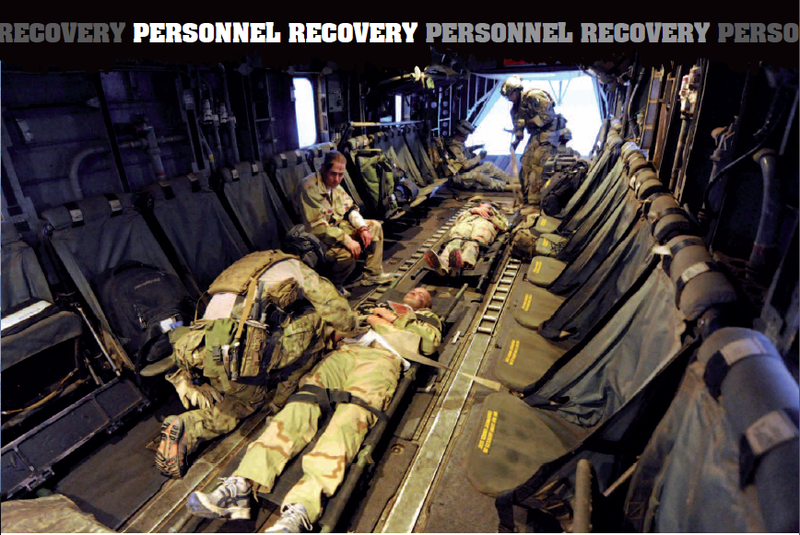 The Personnel Recovery (PR), is one of the most important branches of the worldwide armed forces’, aimed (as the name suggests) to the recovery of compatriots in distress. Its origins date back to the two World Wars and the Vietnam War. During the Second World War, as a result of failed operations or shoot down airplanes into enemy territory, the need to organize a fast and efficient way to recover all personnel dispersed in hostile territory (primarily pilots, intelligence officers, special forces, etc..) arose by all sides (starting with the “Anglo-Saxon”). Of course, with time, the experience (lesson Learned) and the evolution of technology, this “primordial recovery” has been transformed in a science governed by standard procedures written in SOPs (Standard Operational Procedures) and doctrines both national and international (NATO). It’s just referring to the most important of these doctrines (NATO AJP-3.3.9.) that we provide the official definition of PR: “Personnel Recovery (PR) encompasses all efforts (military, diplomatic, and civil) to effect the recovery and reintegration of isolated personnel” where with the term “Isolated personnel” are included all military or civilian personnel, involved in NATO or NATO led operations or training, who are separated from their unit or organization in a situation that may require them to survive, evade, resist exploitation or escape while awaiting recovery (SERE). However, We will see in our future issues, that the same concept, but not exactly organization, is put in place by other national bodies for the recovery of civilian personnel in imminent danger of death. To get an idea of the complexity of PR world, just look at the diagram: from it is in fact, possible to understand how big and complex the PR world is. Beginning from the early stages, up to the final recover and reintegration of the “Isolated Personnel”, it is needed a detailed and well organized structures, indeed any PR operation is normally “on call” (not planned) and it would be almost impossible to quickly deploy a rescue team (in any situation and condition) with efficacy and accuracy, especially in a multinational environment, where, the different assets and man power are provided by several Nations. However, this same complexity, comparing it with a high technological development, and a constantly changing “enemy tactics,”, did not permit to have a final and permanent doctrine, therefore all the NATO doctrines which today we refer, are still marked as “DRAFT”. 2. Planning: It is perhaps one of the most challenging part, since it always requires the involvement of multiple entities also very different between them, such as military and diplomatic, often from different countries. 3. Execution: this pillar is it self divided into two sectors, the one of those who seek (CSAR) and the one of those that should be found (SERE). 4. Adaptation: here again you will notice a division between the two “sides”. The “rescued” and repatriated that will have to deal with all the physical problems and especially the psychological trauma (direct consequences of the period of “isolation / capture / detention /seizure), “while all the personnel involved in the PR operation (starting with the planners and ending with the recovery and reintegration team), will have to analyze all mission aspects, therefore acquire all necessary information needed to the possible improvement of the system. It is evident from the diagram that these pillars form a “ intervention cycle “ which has, in fact, never end. In fact, a deep analysis, and subsequent drafting of the report, always follows the conclusion of each operation. After having drawn up the final report will be necessary to return to the first pillar to adapt and implement any new considerations to the preparation, development, and subsequent acquisition of new equipment (this is one of the main reasons for which a definitive doctrine on PR probably will never be written!). Sincerely, it seems useful to specify, that no PR operation would ever exist without the perfect combination of these four pillars, since each of them is actually a fundamental part of the transaction: when a single ring of this chain would get weak, the whole system would be compromise. “Trait d’union” of these pillars is the JOINT structure. Believing that a single armed force or a nation can autonomy support a PR operation of large scale is an “utopia” (unless talking about USA of course! ); in everyday life, a PR operation, requires cooperation between the armed forces in the first place, but especially an international collaboration, especially when the operation should take place in foreign areas or multinational operational theaters. Clearly, this additional element significantly complicates the given mission, which in any case would be way easier if carried out on a national level. To better assimilate this concept, we must review the definition of PR, where is described that “Personnel Recovery (PR) encompasses all efforts (military, diplomatic)…”. These elements, already different between them, due to limited numbers and thanks to international agreements, are often divided among all the participating nations in the operation in an array multinational JOINT Force. In instance, in today’s missions, international agreements are ratified between participants nations in order to subdivide the difficulties and get a “complete” multinational force; therefore it must be able to perform the range of missions that the operational theater demands, while maintaining low costs and efforts of each individual state. Logically, these same structure, will also cooperate in all the PR operations that should be put in place. In addition, due to the limited number of elements in the field (both whether it’s domestic or international operations), they are never specifically dedicated to the PR operations, but on the contrary, they are multi-functional structures, assigned according to the opportunities, to the different ongoing missions. The latter factor is probably what most of all creates obvious difficulties. Imagine in instance, what would happen if an aircraft assigned to a “X” mission and ready to take off, would urgently redirected to a PR operation; obviously this would create (and create) havoc within the organization and management of all operations in place, probably resulting to derailing of both PR and previously assigned mission. From the previous is therefore possible to affirm, that only training and significant experience of those responsible for all operations is probably the first and most important key to the success of each PR operation. Report: The report task energizes the PR system. Timely procedures for isolated personnel notification are paramount to increased PR mission success. NATO commands and NATO nations must be able to account for personnel and must have systems in place that rapidly identify when their personnel become missing. Missing personnel should be reported to the appropriate NATO command for action. Locate: Location information is the critical element that drives recovery mission planning. Each organization must develop capabilities to locate their personnel, or coordinate in advance other organizations capabilities to do so. Support: Each organization shall establish plans to support isolated personnel (including support to their next-of-kin as required). Recover: Recovery is the task where the isolated person(s) comes back under control of friendly forces, no matter what method of recovery is implemented. The NATO PR organization is responsible for coordinating and integrating all methods of recovery. 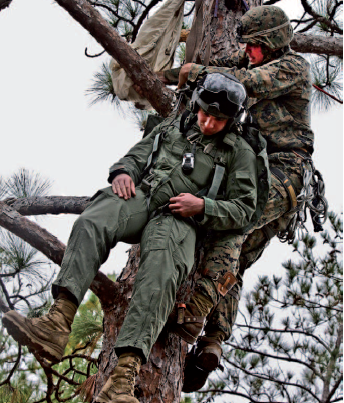 Reintegrate: Reintegration is the operational process to gather intelligence/SERE information and provide medical (including psychological) care to recovered Isolated Personnel. WHO’S IN CHARGE OF PR OPERATION? To proper answer to this question, I would maybe need of ten more pages, and I would probably end defeated. So let’s start by saying that the PR operations provide (as stated in the official definition) the ability to use all means “military, diplomatic and civilians. Although the three “worlds” are closely connected, in the course of any operation is not always easy to place them in perfect harmony. I hope not to offend any of our readers who belong to one of these three categories, what I say is not a criticism, but a matter of objective fact, often resulted from procedures or different missions. In instance, if a peace keeping operation was organized in the “Khmer” country, meanwhile the “military personnel” would act and work in order separate to two belligerent parties, “the civilians contingent” would probably be set up to support the development of hospitals in the area. With this example is therefore possible to infer that the two “world” would work symmetrically in the same contest, but would not have the same ultimate goals nor therefore tight coordination. This often leads the two compartments in missing of a constant flow of information and an appropriate mutual cooperation. The two operational areas will organize, in fact, always their missions without necessarily engage each other, or in other words, without giving detailed communication of their intentions. That said, and returning to command of a military PR, we can state that each unit usually engaged will have its own PR cell (i.e. the one that dictate contingency plans). The various PR cells will then be handled by a higher control “JPR” (Joint Personnel Recovery) from the same nation, which then will be subordinate by the main cell of the general command of operations, the JPRCC (Joint Personnel Recovery Co-ordination Cell). When there would be an “isolated personnel”, the JPRCC (Probably triggered by a JPR ) will get the control of the operations, coordinating and tasking all necessary Assets. Obviously for the recovery of non-military personnel will be the same JPRCC cell leading the operation, preserving however, always close contact with the civilian’s authorities involved. We have seen in broad terms the PR world, and how it is structured and organized in order to reach the final goal to retrieve isolated element. I must conclude by placing emphasis on a very important fact: as perhaps someone among the readers will have guessed, every PR operation requires a huge commitment of one or more nations, often, to ensure the recovery of only one “isolated element”. This is done by putting in conditions of strong risk a large number of elements both human and materials.